The Rebel Sweetheart. 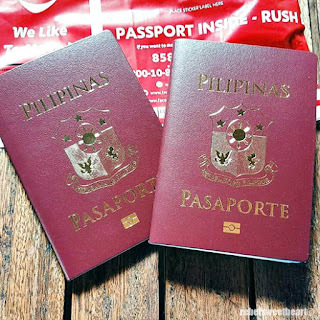 : How to Renew your Philippine Passport. Back in the days when the DFA (Department of Foreign Affairs) didn't have regional or satellite offices, my siblings and I would wait for the annual Mobile Passport Service in our area to have our passports renewed. Either that, or we course through a travel agency to get the job done. 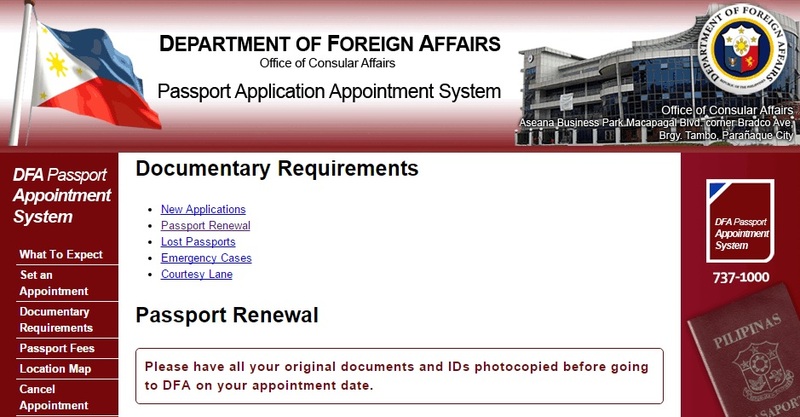 But now with the advent of technology (and more DFA branches), renewing our passport has become a breeze. Our passports (my son's and mine) are expiring this July and so a few days after we returned from South Korea, I set an appointment via the DFA website to have our passports renewed. 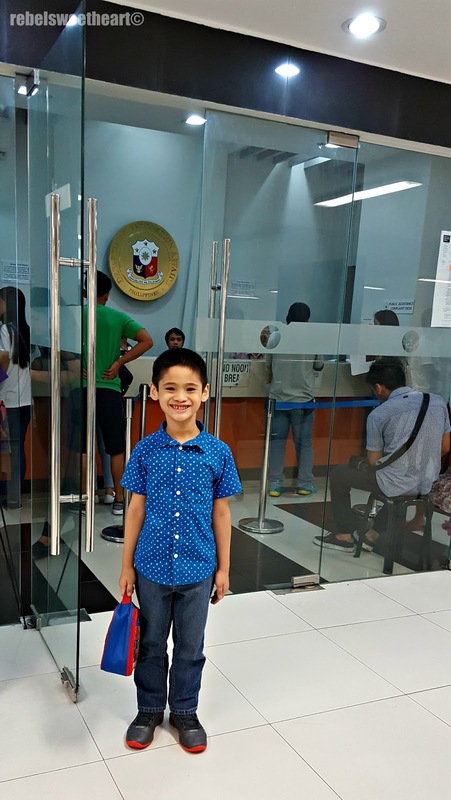 I chose to renew my passport at DFA Alabang, which is the nearest to Laguna. 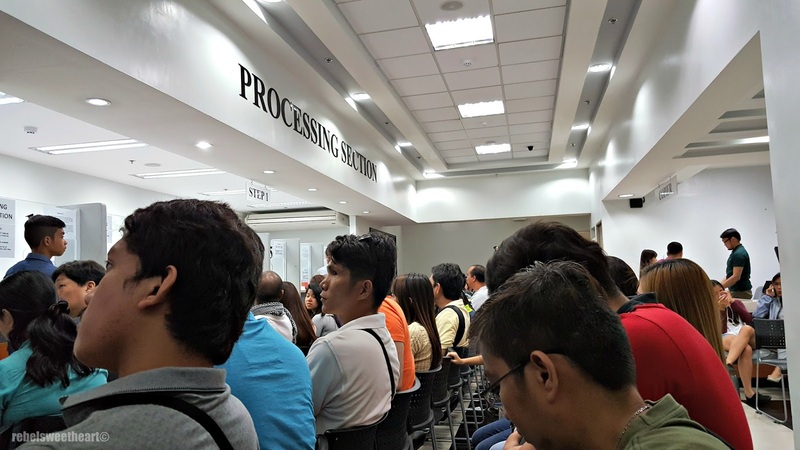 Sure, we have nearby DFA Lipa, but holy schmoly they only accommodate 230 applicants per day and you have to arrive there as early as 5 freaking AM to secure a number/application form. Very inconvenient when you have a kid/infant in tow. So anyway, I booked a family appointment at the Alabang branch, and the earliest date available during that time (January 13) was February 27. You can also choose the time of your appointment, and I selected 1:30 pm, which is the most convenient for us since we will be coming all the way from Laguna. Keep this in mind when you book your appointment. You have to book it early, especially if you have an upcoming flight. After you have successfully booked your appointment, you will receive an email confirming your schedule. The email includes a confirmation link which will make your appointment official. After clicking the confirmation link, you will be directed to your application form which you need to print on a legal size bond paper. The confirmed application form contains your reference number, your confirmed appointment date and time, and a checklist of documents that you need to bring. Fast-forward to our appointment date, February 27, which was last Saturday (yes, they're open on Saturdays). We arrived at Alabang Town Center (where the satellite office is located) around 1 pm. Although we were early for our scheduled appointment, the guard allowed us to enter. We were then ushered to the Appointment Counter where application forms are validated and queue numbers are given to the applicants. 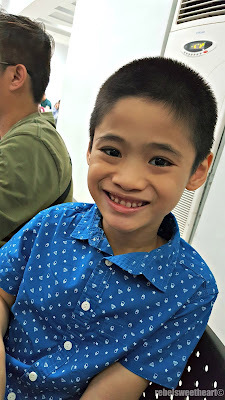 Ready to renew his passport! That's the Appointment Counter up front. After taking our number, we sat in line at the Processing Section. There were about 20 or 30 people ahead of us, so our turn took awhile. Good thing my son was very patient that day! 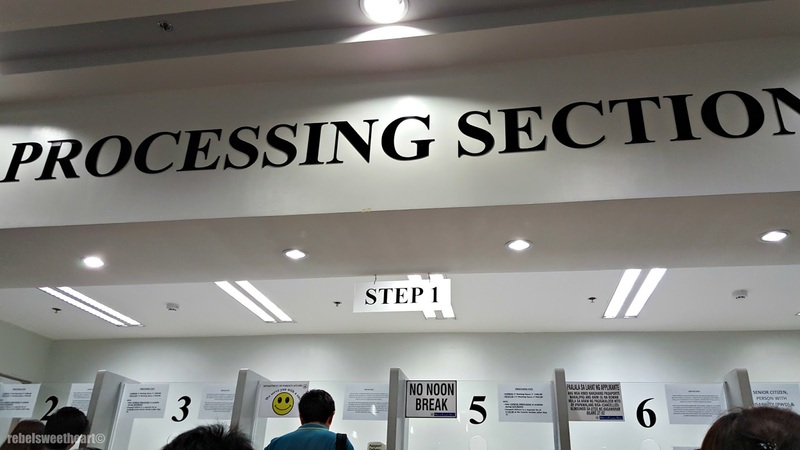 Applicants sitting in line at the Processing Section. And with that, he cancelled our old passports by punching holes on the cover. We then proceeded to the Cashier, where I paid Php 2400 for Express Processing (7 working days). That's Php 1200 each for Yue's passport and mine. The line at the Cashier was the shortest - took me less than a minute to settle the payment. Cashier to the right; Photocopier to the left. 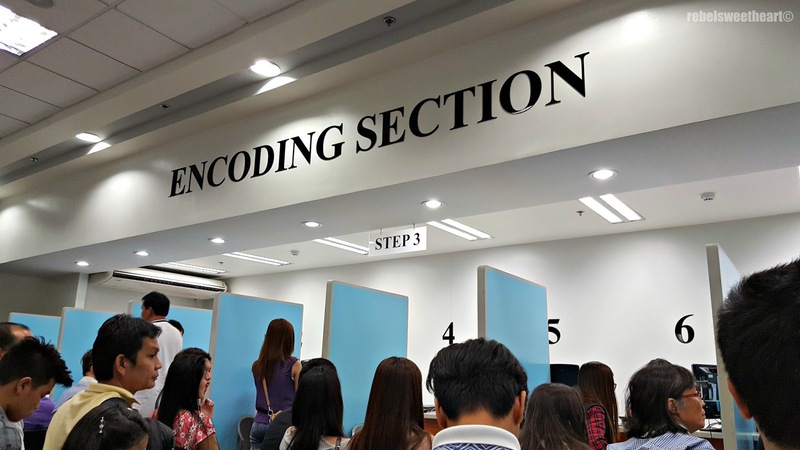 Next, we proceeded to the Encoding Section where your biometrics are taken and where all the data in the application forms are encoded in the system. The encoder will first get your thumbprint, then encode your data. Afterwards, he/she will ask you to double check the data that has been encoded, so keep an eye for typos and such. If there are no errors and corrections, the encoder will then take your photo and print a validation form which you need to sign. If you choose to have your passport delivered, you need to go to the Courier right across the Encoding Section. I don't want the hassle of going back to Alabang just to claim our passports, so I paid an extra Php 300 (that's Php 150 each for Yue and I) for the courier fee. The guys at the Courier section told me our passports will be delivered on March 10, a day after its release. And now, the waiting game begins. I will update this post once our passports arrive. UPDATE: Our new passports arrived last Thursday, March 10, as scheduled. Good job, DFA! The DFA NCR-South branch is located at the 4th Floor Metro Department Store, Alabang Town Center, Muntinlupa City. 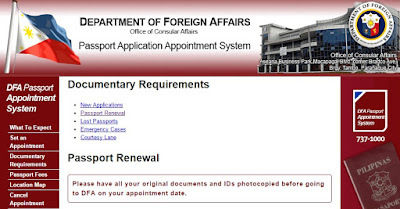 For new passport applications and documentary requirements, please refer to this list. Funny....I was just talking to my husband about renewing my own Passport! I don't want to do it!! Oh well....gotta do what you gotta do, right? Thanks for the reminder! My passport expired last January and I haven't thought of renewing it yet. It's good that we now have satellite offices. Very convenient. I'm impressed with the step by step process of obtaining a passport. I need to apply for a passport but always put it off because I fear the long lines etc. One day I'm going to decide to make trip out of the US and then I'll wish I'd went through the process sooner. Hi Mars! 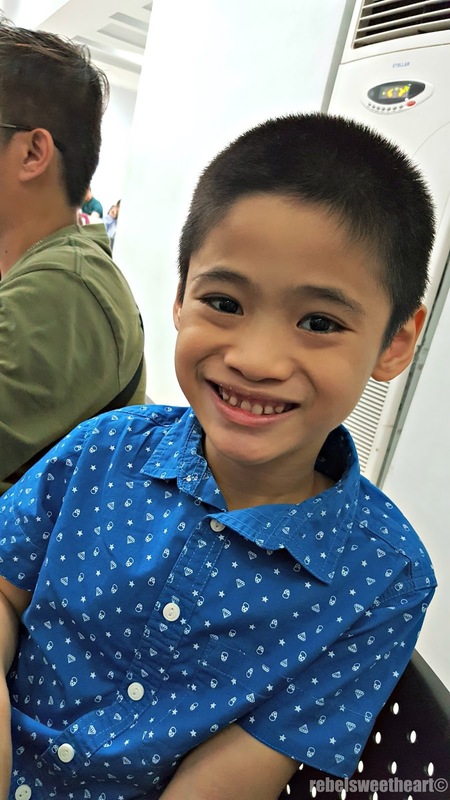 Congratulations on your passport renewal application! DFA also has a satellite office in Lipa. I got my passport there. Quick din! See you soon! Mine has expired. I keep meaning to renew but I haven't gotten around to it yet. I have never needed a passport so am unfamiliar with the process myself. Ah! Having to go through this can be dreadful! I guess it's the cost of travel, right? This is awesome information for a Philippine passport renewal. It is so important now a days for everyone really to have a passport. You never know when you are going to need one really. Thanks for sharing the information. We went to Lipa nung Feb 13. We were there by 7am kaso sabi ni Manong Guard wala na daw forms, before 6am ubos na. 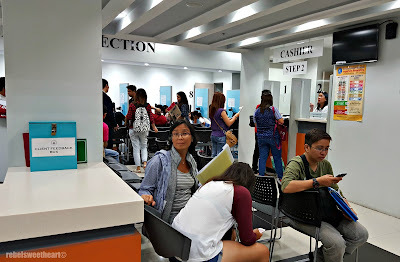 Buti na lang may appointment ako sa Alabang. Mahirap pag expired ang passport, baka maiwan sa galaan haha! Thank you! I really hate queues, but I need to renew our passports since we have upcoming travel plans. Can't be helped, haha!